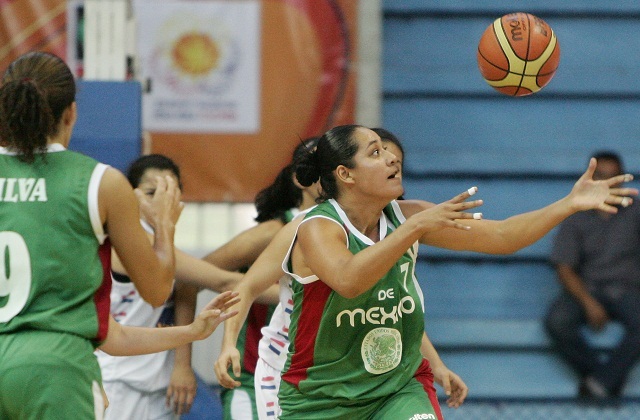 Veracruz will host the 2013 FIBA Americas Championship for Women! FIBA Americas has confirmed Xalapa, Veracruz as host of the 2013 FIBA Americas Championship to be played from September 21 to 28 with three teams qualifying for the 2014 FIBA World Cup for Women. The state that will be home to the 2014 Central American and Caribbean Games, Veracruz will host the FIBA Americas continental in Xalapa city with the participation of Canada, Cuba, Jamaica, Puerto Rico, Dominican Republic, Mexico and of four teams that will qualify from South American Championship to be played in June this year. "We are pleased to announce Xalapa, Veracruz as hosts of our most important women's championship. With the 2011 Pan American Games, Mexico demonstrated its passion for women's basketball, where their team had an excellent performance winning silver at home, and we know that a major competition at the caliber of the FIBA Americas Championship, with three spots to the World Cup, will be a great event for fans of our sport. ", said Horacio Muratore, president of FIBA Americas. The 2013 FIBA Americas Championship for Women will be played in two stages, divided into two groups of five (5), playing against each other in the first phase. Prior to classification, the top two teams from each group advance to the semifinals and final, while the other teams from 5th to 10th place will end their participation in the event. Xalapa-Enríquez, commonly known as Xalapa or Jalapa, is a Mexican city, head of the municipality of the same name and the capital of the state of Veracruz, with a population of 457, 614 inhabitants. As host, the city has the experience of having organized, with the help of the Universidad Veracruzana, several series of the FIBA Americas League, including two Final Fours (2008-2009, 2010-2011) under the participation of the Halcones UV Xalapa. The 2013 FIBA Americas Championship will qualify three teams to the FIBA World Cup for women to be played from September 18 to 28, 2014 in Turkey. United States is automatically classified as Olympic Champion.